I like this motorcycle, and that's saying quite a lot because I'm usually not very fond of the sort of motorcycle whose biggest claim to fame is how far it can go on a single litre of fuel. And that's surprising because under that endearing skin lies essentially the same chassis and engine that has driven millions into showrooms over the past two decades. So how has Hero managed to convert an otherwise mundane commuter into a machine that elicits a surprising amount of joy when you ride it. 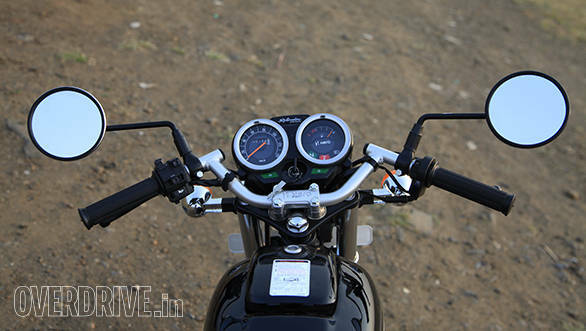 The answer lies in Hero's new approach to motorcycles. 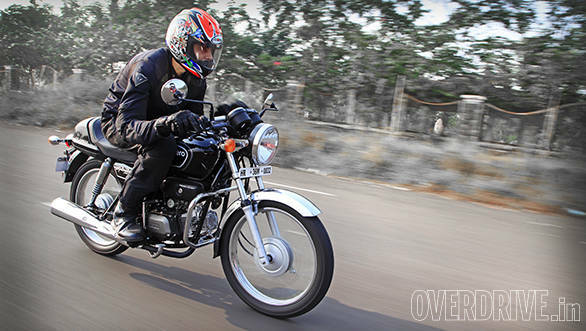 After decades of building highly successful products aimed at pleasing the masses, Hero has done something different with the Splendor Pro Classic. 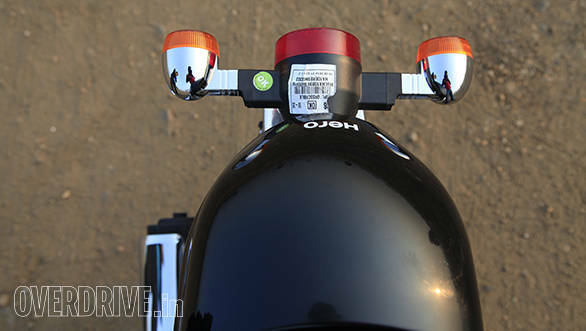 Here is a bike that has low set handlebars and comes without a pillion seat, main-stand or rear grab rails. All things that the 'kitna deti hai' brigade will not be able to comprehend, at which point Hero will gladly point them in the direction of its comprehensive range of fuel sipping machines. 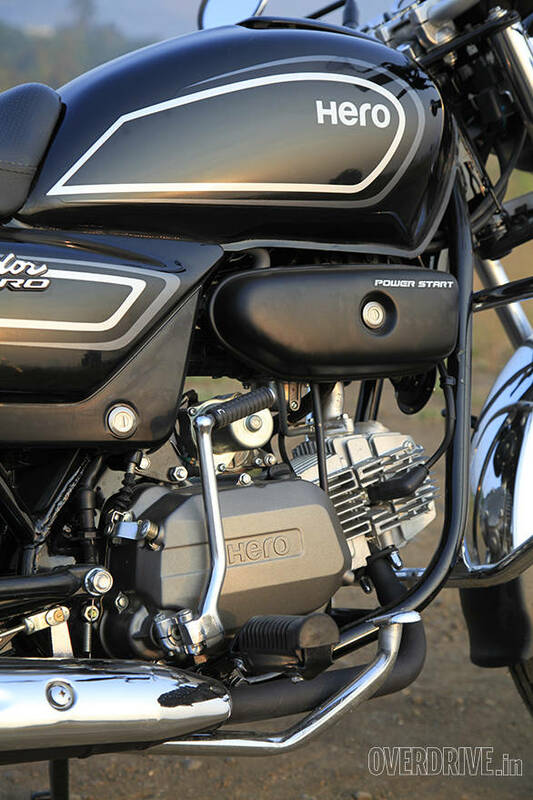 The fact that Hero has built a product that has such a sense of charm and identity despite knowing that it will not sell in large numbers is hugely exciting, and also a sign of things to come from the Indian giant. I approached the Splendor Pro Classic with no unrealistic expectations. After all, there's only so much you can ask of a motorcycle that has eight and something horsepower, skinny tubed tyres and drum brakes. But there's something about the looks, whether it's that old school round headlamp, chrome fender and spoke wheels or that large cowl that replaces the rear seat that makes you want to take it for a ride immediately. It also attracts a surprising amount of smiling faces. Swing a leg over and you won't be disappointed with a nice reach to the low set handlebar that puts you in a pleasantly sporty riding position. The footpegs haven't been moved because there's not much place for them to go except to the swing arm where they would have become far too rear set. Nevertheless, it nicely balances out the riding position and I quite like it despite the fact that I am comically too large for this tiny motorcycle - it's even smaller than a standard Splendor. Thumb the starter and the legendary 97.2cc motor purrs to life and though there's no rev counter you'll still enjoy looking at the simple faux chrome ringed dials that tell you how fast you're going, how little fuel you're consuming, whether the four-speed gearbox is in neutral or if you've forgotten to put the stand up. Switchgear quality is good for the price and offers everything you need including a pass light. With a click of the smooth heel-toe style shifter you're off. Riding the Classic around town is child's play. The motorcycle weighs less than many scooters and feels very agile and flickable in traffic. The engine is very torquey as well and is happy pottering around in top gear at anything above 25kmph. Run it hard and you'll find that it's also slightly quicker than the average 100cc automatic scooter and with a slight downhill you may even get to see 100kmph on the clocks. Fuel efficiency of course, is fantastic. Naturally, when you start looking for corners you will find that while the chassis is willing, there's not much grip at lean and that the soggy front brake doesn't really aid confidence. After a weekend with the Splendor Pro Classic, I find myself considering owning one as a city runabout. The reasons are multiple - it looks great, it's an honest sort of fun to ride and offers a huge hit of nostalgia. It's also very affordable - Rs 59,300 on-road Mumbai makes it cheaper than Hero's own Pleasure and Maestro scooters. But most of all, it simply makes me happy when I look at it and puts a huge smile on my face with every ride.